Our Stock # 18.5611. 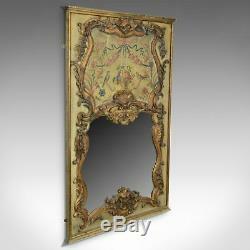 This is a large, French, Rococo revival wall mirror, a painted, hall or overmantel mirror in giltwood dating to the mid-late 20th century. 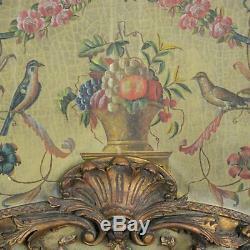 Attractive painted composition of fruit, birds, flowers and ribbons on a pale green ground. 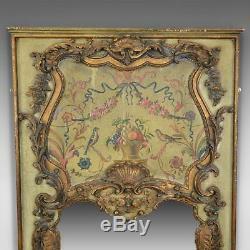 Framed within an applied border of scrolls, shells and garlands. Continuing down into the shaped mirror frame. 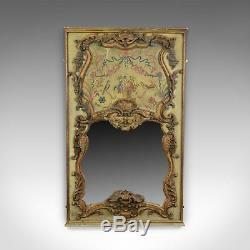 Quality mirror plate displaying very light distress. Extruded border features modest plinth base and crown moulding. Supplied with fixings ready to hang. 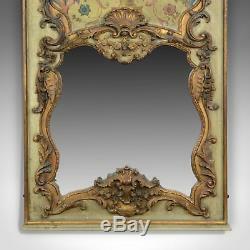 A fine, large, French, Rococo revival wall mirror. Delivered ready for the home. Dimensions: Max Width: 93cm (36.5'') Max Height: 152.5cm (60'') Max Depth: 5cm (2''). We offer a prompt and economical worldwide service, please Let us know your country and zip / post code and we will get the best possible service and cost for you. Please do ask, we'd love to hear from you. 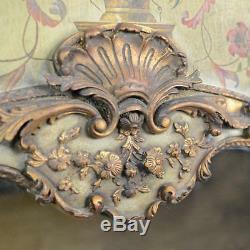 About Us We are a team passionate about antiques and customer service. Our business is nothing without customer service. All items for sale can be viewed at our studio by prior arrangement, please let us know when you would like to come down. Available when collecting from our studio or along with some deliveries. We will get the best possible service and cost for you. Most welcome by prior arrangement from our warehouse in Taunton. Packing We professionally pack every item and encourage recycling of the materials where possible. Worldwide We offer a prompt and economical. Worldwide service, we offer the best possible service and cost for you. From 1 to 1000 pieces just let us know your requirements. 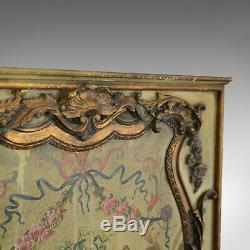 The item "Large, French, Rococo Revival, Wall Mirror, Painted, Hall, Overmantel, C20th" is in sale since Monday, February 25, 2019. 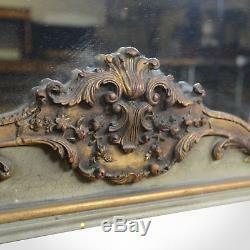 This item is in the category "Antiques\Antique Furniture\Mirrors\20th Century". 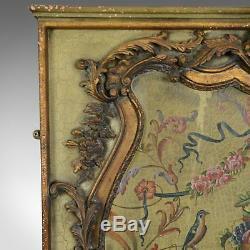 The seller is "londonfine" and is located in Taunton.